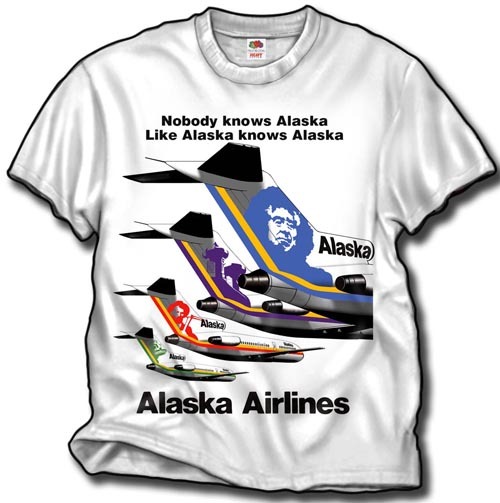 The Alaska Airlines B-727 tails shirt! Taken from an old advertising slick, we have the Prospector, the Russian Onion dome, the Eskimo and the Totem on a shirt reminiscent of the 70's era. 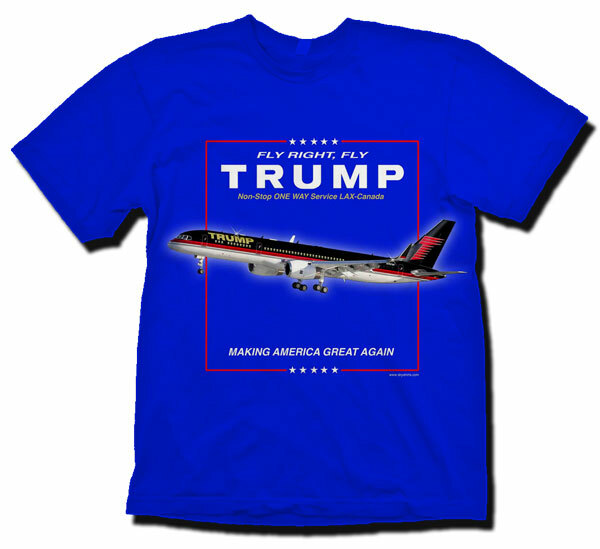 On a 100% cotton white shirt.